On the outside, the Purple and Casper mattresses look quite similar to one another. They are both 9.5 inches high and both contain multiple layers of foam. They both have the same length of warranty and the same great sleep trial period. They even both come in at a fairly similar price point and are not that different when it comes to level of firmness. But, as we know by now, when it comes to mattresses, it’s what inside that counts. So, let’s dig a bit deeper, to find out what sets these two great mattresses apart. As we mentioned, both the Purple and the Casper mattress have a few things in common and are both rated as medium firm so it can be difficult to choose between the two. Basically, the main difference between these two beds comes down to construction and it’s going to depend on what kind of feel you are looking for in a bed, when you make your decision. 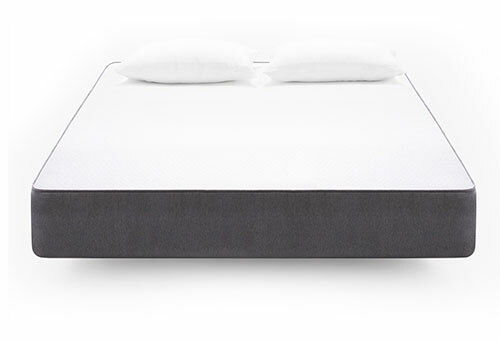 If you are looking for a medium firm mattress, with the cushioning feel of memory foam and a traditional, firmer level of support, we suggest you go with the Casper mattress. As long as you don’t sleep overly hot and you aren’t a heavier customer, you should be satisfied with the Casper. 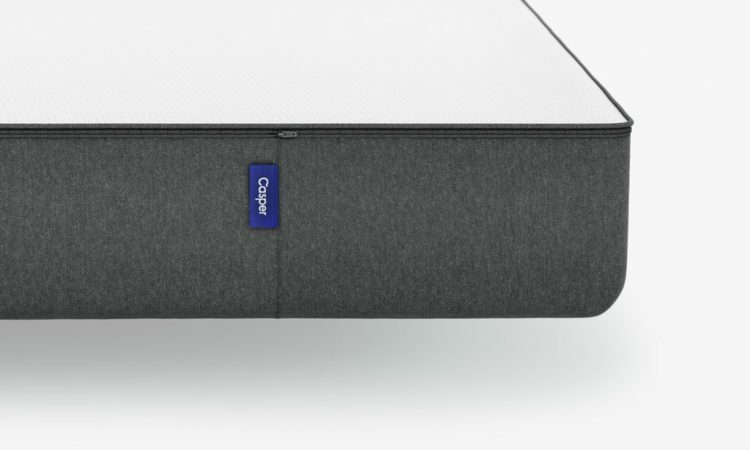 Designed to be the perfect middle of the road mattress for most types of sleepers, the Casper mattress has a few years of experience behind them and does, in fact, seem to satisfy most types of sleepers. They have tonnes of great reviews from satisfied customers, whether they are from people with back problems or just from those looking to transition from an innerspring bed. But, if you are someone that has trouble with memory foam mattresses, either because you don’t like the feel or because you are a very hot sleeper, consider the Purple mattress and their completely new type of mattress. Although they are a young company, they are getting some great feedback and making plenty of customers happy with their adaptive, supportive top layer, which will keep you cool throughout the night and not leave any impression when you move. 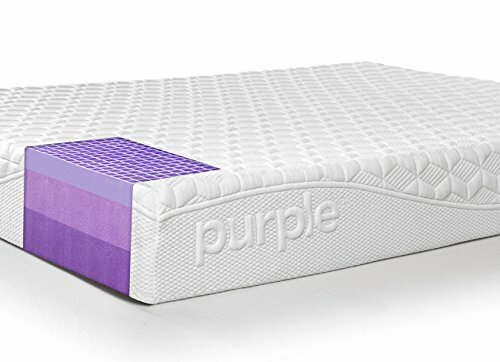 Extremely breathable and great for those who want a cushioning bed, with a bit of bounce, the Purple is a great choice, even for heavier customers. Let’s dig into this construction a bit further and see what people have to say about the Purple and Casper mattresses. You want a firm level of support: The Purple mattress offers a firm level of support, without being hard. Unlike memory foam beds, you’ll float on top of this bed, rather than sink in. The polymer grid construction of this top layer means it supports the whole spine, providing resistance, while cushioning the hips and shoulders. You are a hot sleeper: Between the hyper-elastic polymer material that can’t retain moisture or heat, to the big air pockets in the squares of the grid, this bed is a great option for those who sleep hot. 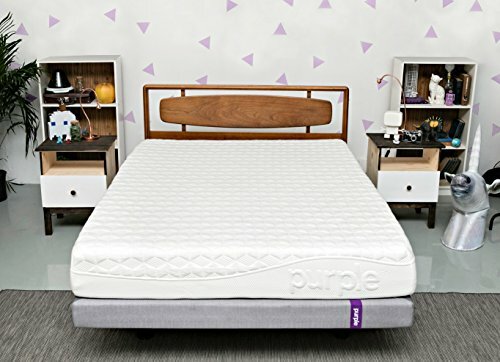 You want a foam bed without a memory foam feel: The Purple mattress gives the best of both worlds: It’s a highly-rated mattress with a high-density foam base and no innersprings, while providing the bounce and support of latex, at half the price. If you are looking for an all foam bed but hate memory foam, this could be the bed for you. As we’ve already mentioned above, one of the main differences between these two fine mattresses is Purple’s unique top layer. Described by some users as having a feel quite similar to latex, customers find that the material in this top layer provides a bit of bounce and a great level of support. 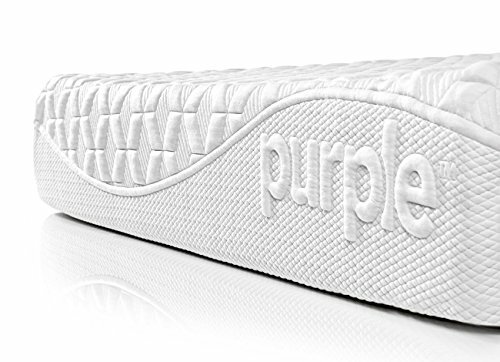 Purple offers a great 10-year warranty and a 100 night sleep trial. At its base, the Purple mattress is made with a 4-inch layer of high density polyurethane foam, which acts as the foundation of the mattress and is part of the reason this bed has little to no motion transfer or movement. Above this is a middle transitional layer of polyurethane foam, 3.5 inches in height. This layer provides extra support and stability at its core, and makes this bed good for heavier sleepers. Finally, the top layer is comprised of a unique top layer, made of hyper-elastic polymer material. This 2-inch layer is built in a sort of grid like pattern, with air pockets between the squares, which not only work to relieve pressure, but promote air circulation, making it great for hot sleepers. Unlike any other mattress on the market, this innovative top layer is making waves in the online mattress world and receiving rave reviews for its durability, coolness and support. Unlike memory foam mattresses that leave a bit of an impression of the body when you move, the Purple mattress does not compress with weight, but that doesn’t mean that it’s hard. Rating on the firmer end of the mattress scale, with 10 being the firmest, the Purple mattress is about a 6 to a 6.5, meaning that it’s supportive, but cushioning on joints and pressure points. Heavier customers are overall satisfied with this mattress. It conforms to the shape of the body because some of the walls of the grid-like polymer layer bend when it meets resistance or push back and stay rigid where it can, to support the body. The Purple mattress is receiving great reviews from all types of sleepers, including back, stomach and side sleepers and it is good for most body types and weights. But being that it is considered a medium firm mattress, smaller customers under 130 pounds might find that it is too hard for them, especially when sleeping on their side. Heavier customers are overall satisfied with this mattress, with stomach sleepers finding it the least comfortable and a few heavier customers mentioning side sinkage, which is not uncommon in all foam mattresses, without innersprings. The company offers a great 10-year warranty and a 100 night sleep trial, the only downside is that the company is fairly young, compared to some of the other mattress companies on the market. This means that long term reviews are a bit lacking, so it’s hard to see how well this mattress stands up over the years. However, the material in Purple’s durable top layer suggests that this mattress will stand the test of time, without sagging or breaking down. And with the warranty, if for some reason it doesn’t, they’ll be sure to sort you out. You can check out our whole review of the Purple mattress here. You want a bit of memory foam but not too much: The Casper mattress is a great bed for those who like the soft feel of memory foam but don’t want to sink into the bed too much. Unlike other beds with thick layers of memory foam, this mattress won’t hug your body but does have a nice amount of softness. You want to move away from an innerspring bed but you like a firmer level of support: If you want more of a traditional bed feel, but you want to move away from a bed with springs, the Casper mattress is a great place to start. Unlike innerspring beds which tend to have a lot of motion transfer, the Casper bed is nearly motionless but still has that medium firm feel of a traditional bed. You like a memory foam feel but you sleep hot: While some memory foam beds with thick layers of memory foam have too much sinkage and cause overheating, most hot sleepers are satisfied with the Casper bed, since the memory foam layer is only 1.5 inches thick. Another fantastic mattress that is making waves in the online bed world is the Casper mattress. 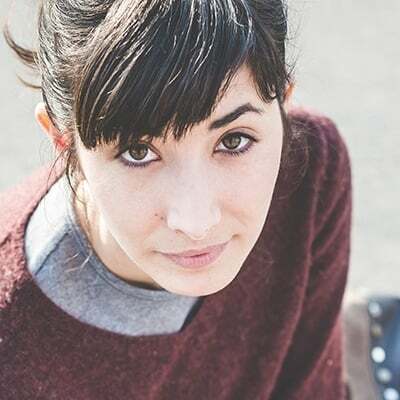 They’ve been around since 2014, which, believe it or not, actually makes them fairly “old” in the online foam mattress world, and one of the few with actual showrooms in the US. Many people with back issues find the firm support of the Casper bed a good fit for them. Rated as medium-firm, the Casper bed is designed to suit all types of sleepers, whether you sleep on your back or stomach and many people with back issues find the firm support of the Casper bed a good fit for them. The Casper mattress is made from multiple layers of different types of foam, starting with a firm base layer of support foam designed to make the mattress durable and provide the base for its little to no motion transfer. Above this is a thinner layer of adaptive transition foam, which, as the name suggests, acts as a transition layer between the base layer and the upper layers and helps to distribute weight evenly. Next up is a layer of memory foam, which provides the cushioning needed for joints and pressure points. Since this layer is fairly thin compared to other mattresses with thick layers of memory foam, the bed is medium firm, without being hard. You won’t sink into this bed at all, but it does have a bit of that memory foam feel. 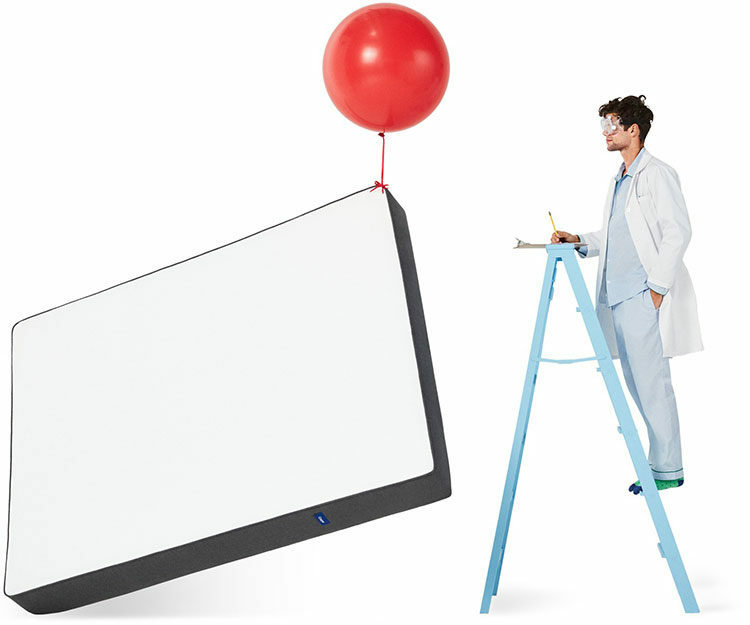 Adding to this cushioning layer is a top layer of open-cell foam, designed to promote air circulation and be cooler than a thicker all memory foam top. It also provides a nice amount of bounce. While this bed is great for most sleepers, heavier customers might find it a bit too firm and this is a common issue with all foam beds. Even though the bed is rated as medium firm, if you are heavier, you might find that you sink through these top comfort foam layers, and engage with the lower firmer layers, with too much sinkage. All foam beds also tend to have some edge sinkage, which could be troublesome for bigger customers used to an innerspring bed, especially if they like to sleep near the edge. That being said, most smaller to average weight customers find this bed supportive and adaptive and mention that it contours the body nicely, without too much sinkage and without the hugging feeling that some memory foam beds provide. Compared to the Purple mattress, you will find that the Casper bed has just a bit more sink and contouring hug than the Purple mattress. This is because of that top layer of hyper-elastic polymer, which provides more of a resilient “push back” feel and isn’t foam, so you aren’t going to sink at all. In terms of cooling, this bed does indeed sleep cool and most customers are satisfied with the temperature of this bed at night. But if you have issues with sleeping hot, when comparing the two beds, the Purple mattress comes out the clear winner. While the Casper mattress does offer cooling features in their foam, such as open cell technology, it’s hard to compare with the material in the top layer of the Purple bed and its grid like pattern just makes for more air circulation. Great choice for those who are looking to move away from an innerspring bed. Overall, the Casper mattress is a great choice for those who are looking to move away from an innerspring bed, but with a more traditional bed feel. It gives the best of both worlds: a bit of memory foam for cushioning, a nice amount of support and bounce in the top layers but not too much sinkage. In fact, many customers mention that the Casper bed is the perfect combination of firm and soft. Side sleepers have also mentioned that this bed is a great combination of firm support but soft cushioning on their hips and shoulders. They offer a great 10-year warranty and 100 night sleep trial so you can be sure you are getting the bed that is right for you, making it a risk free purchase. If you’re looking for more information about the Casper bed, head to our full review here. So, with these differences in mind, you will need to take some time to think about what type of medium firm bed you are looking for. Are you looking for a bed with a more traditional feel, or a medium firm bed that still has the cushioning of memory foam? If so, then Casper is the pick for you. If you are looking to try out some new, innovative materials, and if you are someone who sleeps hot or someone who likes the feel of a medium firm latex style mattress, then consider the Purple mattress. Whichever bed you choose, keep in mind that both beds have great 100-night sleep trials, which will give you the chance to try either bed, without too much risk. PrevPreviousWhat Is ASMR And How Can It Help You To Sleep Better?